Juliana, the new paperback cover won’t be out for a while — until they sell off all the old paperback versions in the warehouse. Might be a looong while. Do you make yourself crack up when you write? Julie, us bloggers have to stick together! Do I make myself crack up? I don’t know, but when you blog for an uncertain readership — anybody out there? anyone? Bueller? — then you’ve got to at least please yourself. 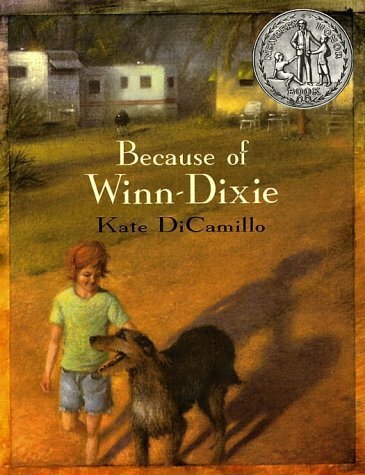 BTW, I continue to admire the simplicity and beauty of your Picture Book Illustration blog. Nicely done. Readers, check it out . . .
Well, you made me laugh. Thanks! It’s nice that your publishers believe in your book enough to put out a new paperback edition. 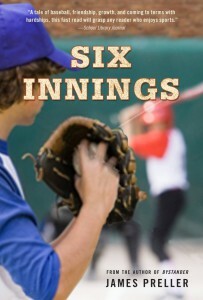 I like the glove action on the new cover. The hardcover edition was an easy handsell for me, but that’s because I loved the book. The cover didn’t help convince customers to buy it. Though at the same time it didn’t hurt. While the cover didn’t draw readers in, they at least kept listening. One thing I hated was being burned on a handsell because of a cover. At one point I stopped reading books with poor covers that would turn customers away. It seemed like a waste of time. Booksellers try to sell the books, so publishers should do their best to produce good covers, or at least covers that don’t have customers shaking their head no on first glance. For a bookseller that’s an awful head shake, before you even start the pitch your already in the hole. 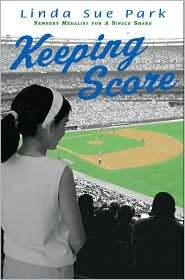 I loved Keeping Score but didn’t even give the hardcover a second glance. Because it doesn’t scream serious baseball goodness inside. But one day I decided to check it out from the library, and was pleasantly surprised. 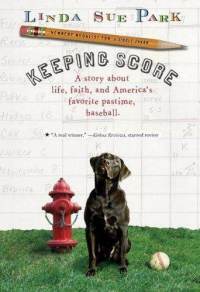 I was very happy to see they went with a differnt paperback cover for Keeping Score. I liked the new cover and I tired my hardest but couldn’t get any readers to bite. And something is very wrong if I can’t get customers to bite on a baseball book. Be it a direct handsell or table display, Keeping Score wasn’t selling. James sorry this is so long and I know you’d love Keeping Score.